Join WXN on 28th February 2019 and learn from Senator Lynn Ruane about how companies can lead with compassion. Discover tools and tips to integrate empathy and compassion into your people and culture programmes. 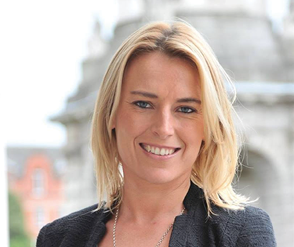 Senator Lynn Ruane is an independent member of Seanad Éireann, representing Trinity College graduates in the Oireachtas since 2016 and serving as the deputy leader of the Seanad Civil Engagement group during that time. She was elected to the Senate while President of Trinity College Dublin’s Students’ Union, where she gained entry as a mature student through the Trinity Access Programme. Her legislative priorities in office have focused on equality of access in education, gender equality & reproductive rights, tackling socio-economic inequality and advocating for progressive reforms of drug, migration and social welfare policies. Prior to her entry to politics, she developed addiction programmes for 15 years as a community worker in west Dublin. She is the author of the award-winning memoir, ‘People Like Me’.